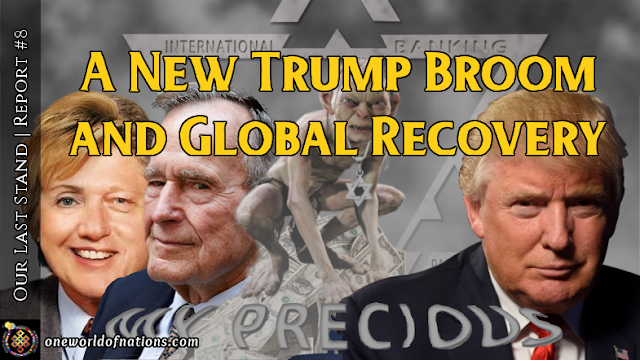 Where are vast Trillions hidden to recover our nation’s right now? Unbeknown to the trusting nations, truly vast, colossal amounts of Capital, vast Trillions, adversely now affecting all nations and causing emperious Global stresses, have been sequestrated out of the Public domain, hidden from all view, and all needed Allies Trust abused, enriching key Cabal families, funding Agencies and Military activities, underpinning Hegemony, Weapons manufacturers, and ever growing unauthorised Black Operations. Also Secret Space Programs, as well as allowing unethical and criminal Presidents, plus the US Treasury and the FRB NY, to mass manipulate these funds, in vast ever compounding Bank Programs, while reneging on their contracts with Lending Allies, betraying their Trust and betraying nations. These are true greedy Renegades! America spends more on Agencies and Defense than the rest of the world put together, not to protect America, but only to protect the Cabals assets. These huge annual Bank Trading Program Profits are not used to help America, but just themselves. An enormous waste and such acts of treachery to all their innocent funding victims. None have been paid a dime, it’s all been STOLEN! Look at the state of Congress and the Senate. Slippery Weasels who don’t give a damn. It’s no longer the United, but now the Grifter States. Betrayal of a nation. Betrayal of its people.